A good oral presentation is well structured; this makes it easier for the listener to follow. Basically there are three parts to a typical presentation: the beginning, middle and end or (introduction, body and conclusion). We are going to look at the content of each part individually and the language needed to express its structure and content. 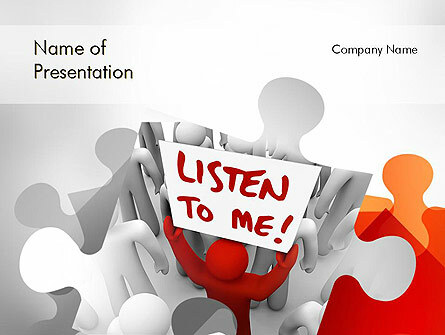 The beginning of a presentation is the most important part. It is when you establish a rapport with the audience and when you have its attention. More detailed techniques are to be found later. Get the audience’s attention and signal the beginning. Right. Well. OK. Erm. Let’s begin. Good. Fine. Great. Can we start? Try to get your audience involved in your talk either by asking direct or rhetorical questions. Ask for a show of hands for example in response to a question. Some of these approaches may not be appropriate in all countries. Ask yourself how things are done in your country together with regard to your own experience and adapt accordingly. Good morning members of the jury. (name, position, responsibility in the company) Not only to give that important information so people can identify you but also to establish your authority on the subject and to allow the audience to see your point of view on the subject (you are a student, researcher, responsible for, director of, neophyte, layman). Good afternoon ladies and gentlemen, let me introduce myself. Sometimes, especially when invited to speak, the host introduces the guest, gives the same information as above and then gives the floor to the guest speaker. I am very pleased and proud to introduce …who is…. In English-speaking countries it is not uncommon that the speaker begin with a joke, an anecdote, a surprising statement to get the audience’s attention, to make people want to listen, to feel relaxed and even to introduce the subject. An illustration from real life can be useful here as this may be a way to present information in such a way that the audience can identify with. What exactly are you going to speak about? Situate the subject in time and place, in relation to the audience, the importance. Give a rough idea or a working definition of the subject. A cultural aspect may be important here; scientists want to demonstrate their work and findings while managers and humanities people want to share ideas and reflections with their audience. It may be the result of a desire to persuade and convince. It may be comparison of two or more products, plans or proposals. Why are you going to speak about it? Have you set any limits on the scope of your talk? What won’t you speak about? It may be very useful to eliminate certain areas before you start so as to avoid confusion or deviation from your main task. It also protects you from criticism later if do not mention it in advance. Have you limited the time? It is useful to give the listeners some idea of the time so as to maintain their attention better. You may want to give acknowledgements here too. If you have been sponsored, supported or encouraged by a particular firm, organization, professor, etc. you may want to acknowledge their contribution. Your research and paper may have been the work of a collaborative effort and you should acknowledge this too and give the names of all the participants. At some point you should ask a question or somehow try to determine where the audience is. How do they feel about the subject? You will then have to modify the contents, as you never know exactly what to expect. Have you ever heard of …? Have you ever heard of/seen X? The main purpose of an informative speech is to have the audience understand and remember a certain amount of information. You should thus have two purposes: a general purpose and a specific one. The former is to inform: to give an overview, to present, to summarize, to outline; to discuss the current situation or to explain how to do something or how something is done. The latter is what you want the audience to take away with them after listening to you, what you want them to do, what they should remember. My purpose in doing this paper is to give you a solid background on the subject of oral presentation so that in the future, at the INT or elsewhere you can deliver a successful speech in front of a group. Once you have established your specific objectives you may go on to formulate your content. You want to keep the outline simple so 2 or 3 main points are usually enough. Concerning grammar the headings of the outline should be of the same grammatical form. I have broken my speech down/up into X parts. I have divided my presentation (up) into Y parts. You should also let the audience know at some point in the introduction when they may or may not ask questions. I’d ask you to save your questions for the end. There will be plenty of time at the end of my speech for questions and discussion. This entry was posted in presentation tips and tagged public speaking, speechwriting on March 25, 2014 by pptstar.